A JustGiving campaign to help raise costs incurred by Mike Hall's family. Any extra funds raised beyond costs will be hers to decide what to do with. That campaign is organised by @skinny and is about as trusted as you can get. It's pay day... let's go make a difference and honour a great guy. Saw this on my Insta feed this morning and thought it was a joke because he'd slept in or something. There are no words for such a tragic loss of an amazing, inspiring person and athlete. Ride in Peace. This is how much impact he had as a person. I can't believe this, it's so awful. An absolute hero. RIP Mike. I didn't understand why this made me so sad this morning until I tried to tell my GF what happened. Me: "There's this race called the TransContinental which starts in Belgium or over here and ends in Turkey..."
GF: "Oh, do you want to do it?" I've never bivvied. My longest road ride was about 110mi proving a point for a Strava Gran Fondo challenge. My longest offroad ride was last year's Dorset Gravel Dash 100. The way Mike went about winning these epic challenges turned us all into dot-watchers for the whole field, hungry for the next tantalising Instagram post from any rider or spectator. He and his fellow riders made us dream of adventures, of freedom, of landscapes far away, of that sense of achievement we get from conquering a hill but amplified by that hill being the end of weeks of hills. We need heroes like Mike. Mike is one of those people we wish we could be. hi all, especially @hippy (as I don't have you on fb) and past TCR vets and those who have been inspired by mike's exploits. please join me for a beer in his honour this evening. LMNH old st from 6:30pm. all welcome of course. RIP Mike - the only dot watching I've ever done was to watch his progress in various events and cheer him on from afar, great rider and inspirational to many across the world. RIP. The responses and his achievements in different ways point to a great man. Lovely thought Leo. We'll be in Cardiff but will raise a glass for him. I'm so gutted about this, so gutted and heartbroken that this has happened to any cyclist. So gutted that Mike was so close to the finished, having ridden so far across the continent. So gutted and heartbroken that this happened on a road I've ridden and know well. Heartfelt condolences to Mike and his family. Will donate to the fund! Such deeply sad news. A real true hero of cycling. He leaves a huge legacy. Horrible news. I see that there will be a tribute ride in Sydney on Sunday. Will there be ne in London soon? Thanks but I'm not feeling too sociable right now. I think I will be raising a glass to him tonight and going for a long solo ride tomorrow to contemplate. I told skinny I would be up for a memorial ride/drink/chat at a later date though but I'm feeling pretty empty at the moment. Got to meet him briefly at a talk showing a video about the Trans Am, where some of the forum's best were gearing up for the TCR. Very inspiring guy. 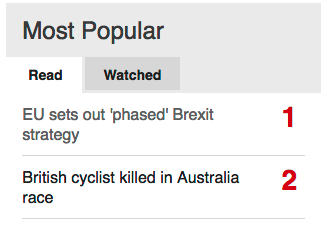 Real sad day for cycling. Trying to square it away in my head and failing miserably. I truly hope you are riding rainbows, Mike. Tragic. A real cycling hero.